My eldest turns 16 in just a few short weeks, she is entering her final year at school and will be sitting her GCSEs in the summer. Parenting a teen over the last few years has been a lot different from parenting a younger child, it is something that I am still learning about as we are constantly faced with new challenges. The latest challenge is to get her to spend some time at home (she is always out) and concentrate on her school work ready for her exams in the summer. Parenting a teen, like any kind of parenting has its good and bad days, luckily mostly good in our house. I may not mention my teenager much on my blog, mainly because she is older and is always out with her friends so rarely comes on days out with us. However last year you may remember I wrote about Teen Talk with Gabby Logan, well Teen Talk is back again this year with #TheTeenTalk Guide. This includes tips and advice to help parents and children feel confident as they journey through puberty. 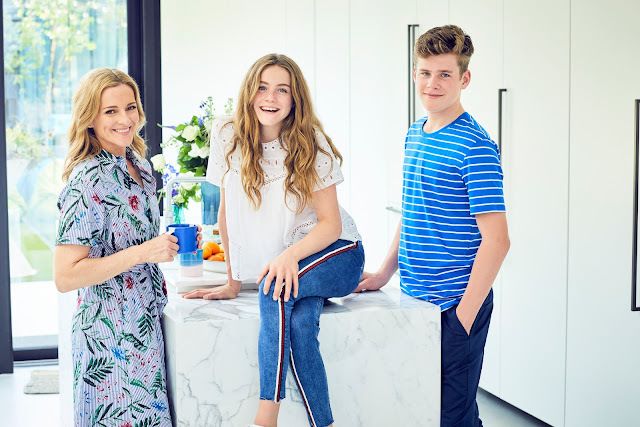 The guide is free to download from the Boots website and is sponsored by well know P&G brands such as Gillette, Aussie, always, Tampax, head & shoulders and Oral B.
Gabby Logan is taking part in this campaign once again as she is Mum to teenage twins, Lois and Reuben. I was asked if I would like to interview Gabby as part of the campaign and here is what she had to say. 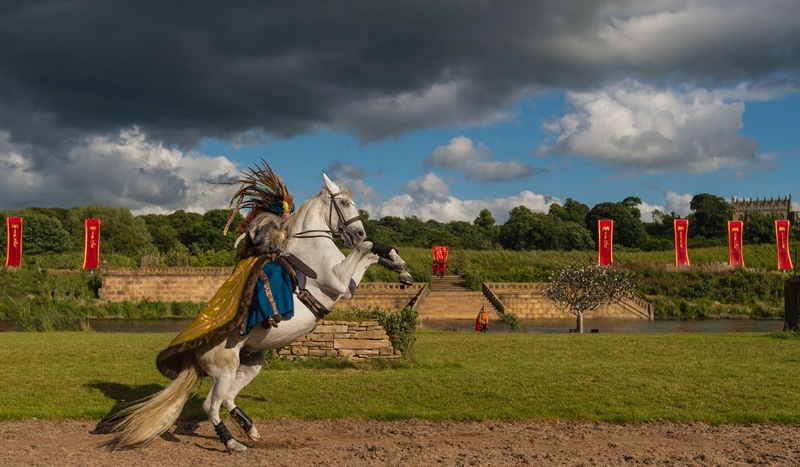 On Saturday night we were kindly invited along to Kynren - an epic tale of England, a live-action outdoor show performed here in the North East in Bishop Auckland, Durham. The show tells the story of England, spanning over 2,000 years of history, myth and legend, mostly based here in the North East. With a cast and crew of over 1,000 it really is a truly amazing show that is not like anything I have ever seen before. Before seeing the show I had seen lots of advertising for Kynren and I had read a few blog posts and heard people recommend it, but I still did not really know what to expect. Seeing it for myself I was blown away, it is easy to see why it has so many 5* Tripadvisor reviews and is currently ranked among the top five must-see performances here in the UK. It exceeded my expectations and was so well organised. 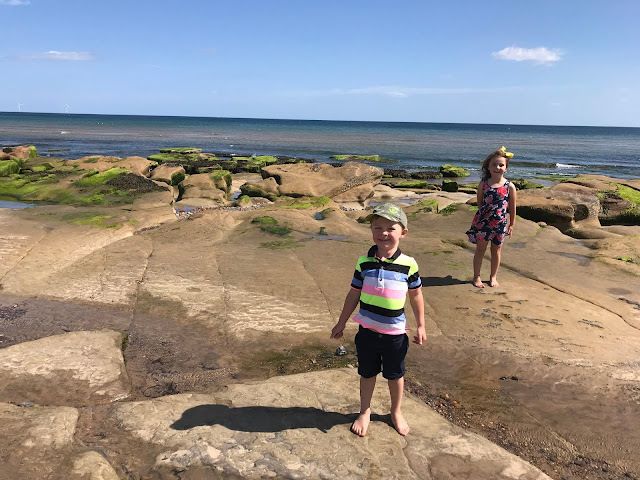 This year all three of my children will be in full-time school, my eldest will be in year 11, my 5-year-old will be in year one and my youngest will starting reception; as he has just turned four. All of the school uniforms have been bought and all we had left to buy were shoes. Like a lot of parents, I always put off buying school shoes until near the end of the school holidays as my children always seem to have growth spirts during the summer. However, I was not looking forward to heading into Newcastle city centre with three children to queue for hours to buy school shoes. 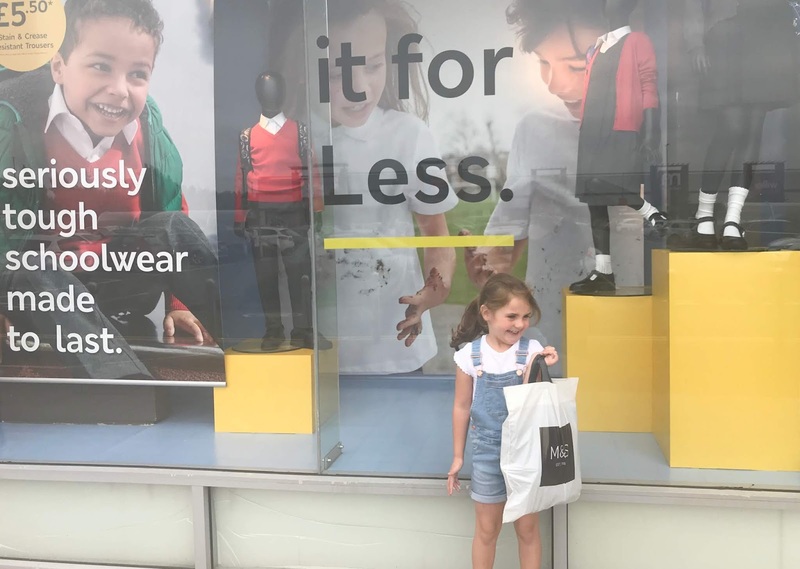 So when Jake Shoes got in touch and asked if I would like to review some back-to-school shoes from their online shop I thought this would save us a lot of hassle. Jake Shoes are an independent shoe store based in Stockport & Manchester, as well as the physical stores they also have an online store that stocks shoes for men, women and children with a good selection of back-to-school shoes. This September I have three lots of uniforms to buy as my youngest, Jacob has just turned four and will be starting reception school. Sophia will be in year one and my eldest, Chloe will be in her final year of school in year 11 and doing her GCSE's. I am normally so organised for back-school but this year I am not at all and had not even started buying anything, other than placing an order for school jumpers. I still had skirts, trousers, shirts, PE kits, stationery and everything else to buy for all three children. I really did not fancy a shopping trip into the city centre or to a busy shopping centre with three children in tow so I decided to head to Silverlink Shopping Park in North Tyneside instead. 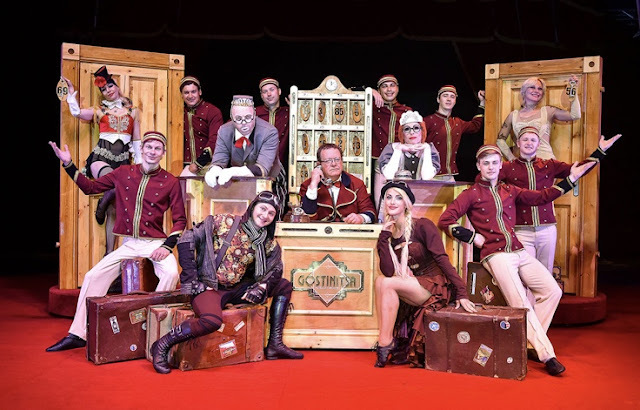 The iconic and much-loved Moscow State Circus is back on Newcastle's town moor this week with new show Gostinitsa and it is sure to delight fans both old and young. We were very kindly invited along to see the show yesterday afternoon and once again we were blown away with the stunts and performance and had a thoroughly enjoyable time. We visited with family aged between 60 (my dad) and my son who is 3 (very almost four) and every member of our group had a brilliant time, we were on the edge of our seats during the stunts to roaring with laughter at some of the slapstick humour. It really is a show that the whole family will enjoy. Located on Newcastle's Town Moor just outside of the city centre you can not miss the big red top circus tent, with plenty of free onsite parking and regular buses from the city centre stopping just outside it is easy to get too. The show is running from the 15th to Tuesday the 21st August 2018 with performances twice a day, Check the website www.moscowstatecircus.com for full details and ticket prices. Last weekend my daughter was invited to Adventure Valley, Durham for a birthday party and we decided to take her little brother along for a day out too as it looked like lots of fun. Adventure Valley is located in Brasside, Durham close to Frankland prison and is well signposted, we managed to find it easily. This was our first time visiting and I did not know what to expect but we had such an amazing time that I am sure it won't be our last visit. Adventure Valley is an indoor and outdoor play centre that is ideal for children aged three plus, although I am sure slightly younger children would also enjoy it too. There was so much to see and do and you could easily spend the whole day there exploring and having fun as it is huge. It costs £10.95 per person to visit or £9.95 per person if you pre-book tickets online, children under the age of two are free. Last week we had a family staycation, here in Newcastle at the Jurys Inn hotel in the city centre. Staying in a hotel in the city we live in is something that I had never thought about doing before as we live just a fifteen-minute drive from Newcastle city centre. However, since staying in a hotel in my home city I can see why people do it as it is a great way to explore places you may not often visit and it is fun to be a tourist in your own city. 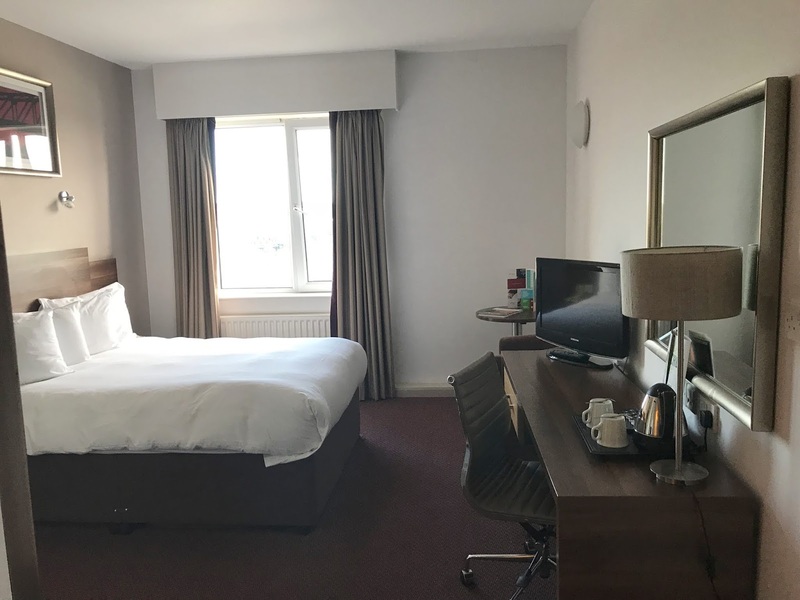 The Jurys Inn hotel is a great base to explore Newcastle, it is just a few minutes walk from the train station and very close to the Metro radio arena, the nightlife and the city centre shops. When we were first invited to stay at the hotel as a family I was a bit worried that the hotel would be full of hen and stag parties as it is located so close to the train station and bars such as Power House and Boulevard. There were a few groups of friends staying at the hotel but there was also other families and couples staying too and we had a very peaceful stay, despite staying on a Saturday night in August. 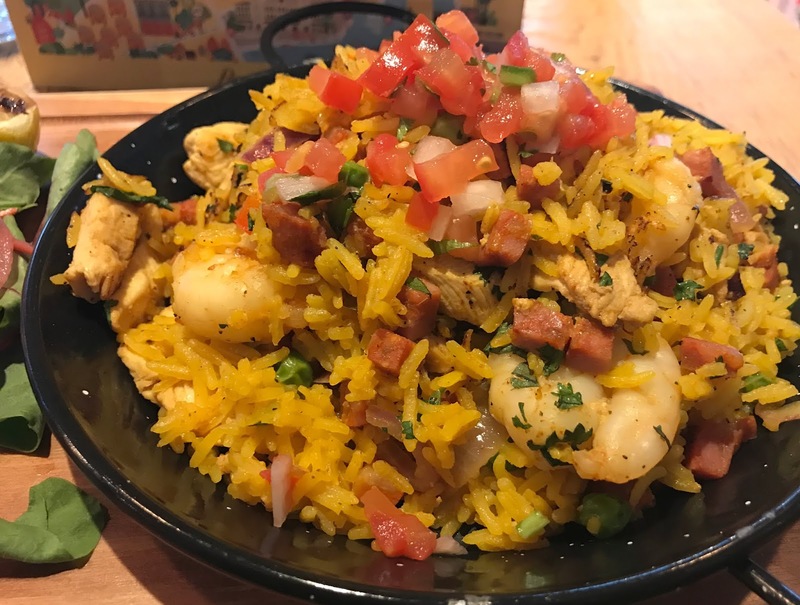 Revolution De Cuba has recently opened its doors here in Newcastle, bringing the carnival back to the Bigg market area, which is having a bit of a makeover these days. Based in the old pig and whistle bar the venue has had an impressive makeover and is a welcome addition to the area which is changing into a much nicer partying area of the toon. Located in the Coth Market section, near Flares it is set over three floors and I can see it becoming very popular with the locals over the coming months. I visited Revolution De Cuba last week on a very rainy and cold Sunday with my teenage daughter to see what all the fuss was about. As it was lashing down with rain outside we did not get to enjoy the summery terrace area or the roof garden, instead settling in a cosy booth in the main restaurant area to dry off. We enjoyed a leisurely lunch whilst listening to some live Latin music in the cheery tropical inspired dining area, which almost made you think you were somewhere exotic and not in grey and rainy Newcastle. My 5-year-old daughter Sophia is animal crazy, she adores any kind of animal and has been asking us non-stop for the past three years for a pet mouse or hamster. As she was so young we did not want to get her a small furry pet just yet as we wanted to wait until she was old enough to care for the pet and to understand to be gentle with animals and to handle and treat them correctly. 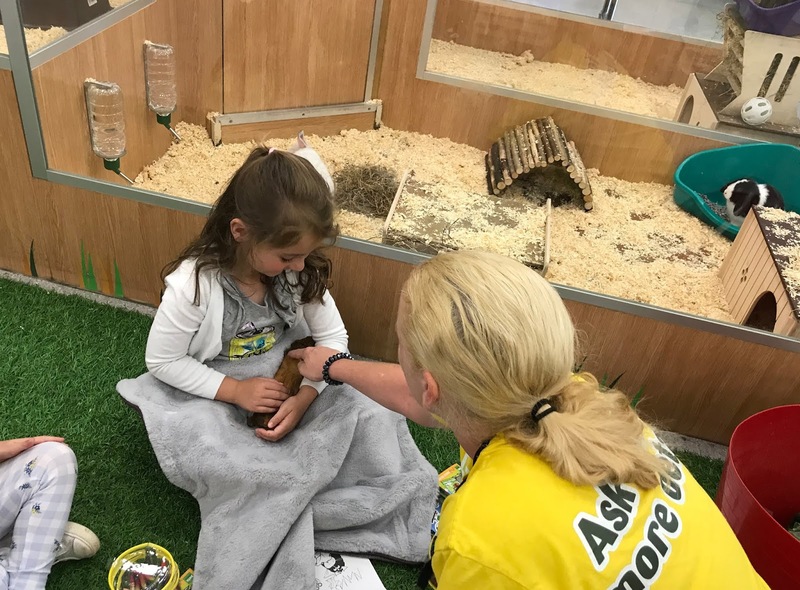 So when I heard about the FREE My Pet Pals summer workshops being held at Pets at Home stores across the country this summer I thought this was the perfect opportunity for Sophia to learn about looking after a small furry animal. The My Pet Pals summer challenge is an hour-long workshop held in Pets at Home stores across the country, you simply visit www.petsathome.com to book onto a workshop which is completely free of charge. When you attend the workshop you will also be given an activity booklet which has ten challenges for children to complete during the summer, my daughter has had great fun completing her booklet this past week as it encourages her to get active and also teaches her about caring for small pets. 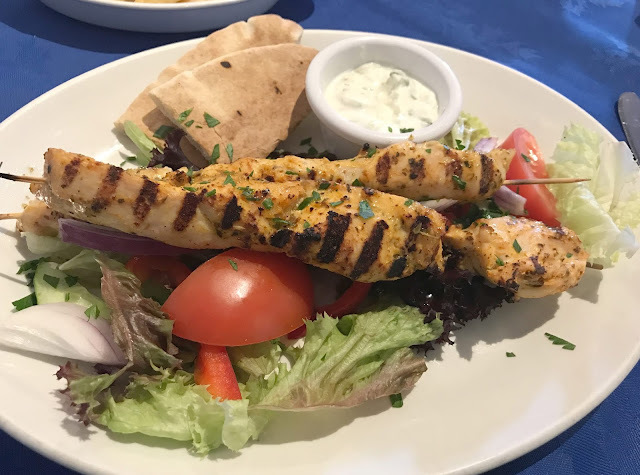 Aphrodite Greek restaurant is located at the Brockwell Centre in Cramlington and is somewhere I have always wanted to visit but never got around to. I don't know why I put off visiting for so long as we visited last week for a rare date night and it was delicious and I am kicking myself for not visiting sooner. I actually grew up a 2-minute walk from the Brockwell Centre and I used to go to the school there, my dad still lives in the house I grew up in. After seeing lots of friends and family comment on how nice Aphrodite was we decided to book a table when my dad offered to babysit for us. We visited on a Thursday evening and the restaurant had a real mix of customers, groups of families, couples and friends all enjoy a meal together in the relaxed restaurant which had a very holiday type vide to it. Vampirina is a children's TV show on the Disney Jr channel and my children love it, my little girl Sophia has been a big fan of the show since it launched. Earlier this year we reviewed some Vampirina toys and we were lucky enough to be sent some more Vampirina items to review, perfect for keeping my children entertained throughout the summer holidays. 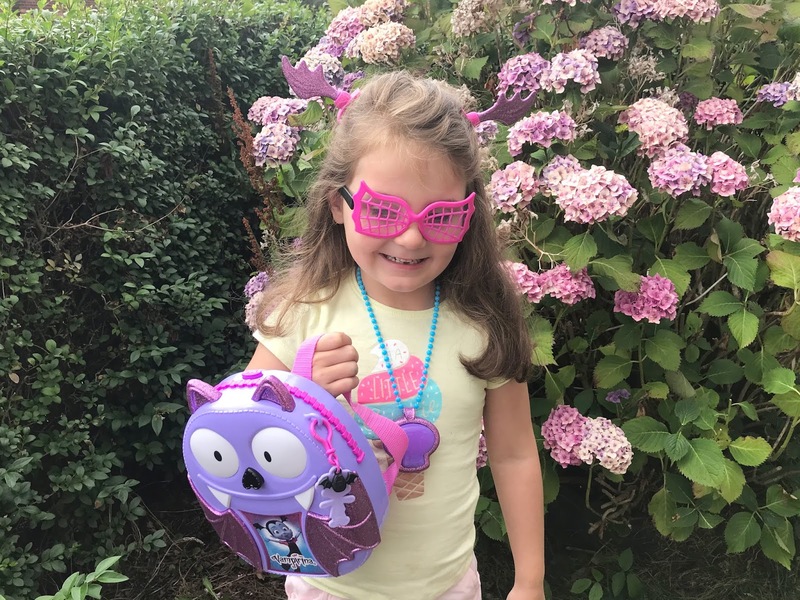 We were sent the Vampirina Bootastic Backpack set (RRP £24.99) this set includes a purple hard case backpack, just like the one that Vampirina herself wears in the show. The set also includes some funky spider sunglasses, some bat shaped hairclips, a keyring, a necklace with phrases from the show and some stickers. Great items for any Vampirina fan to enjoy dressing up with. On Thursday Paw Patrol Live was in Newcastle and we were lucky enough to go along and see the show called The Great Pirate Adventure at the Metro Radio Arena. 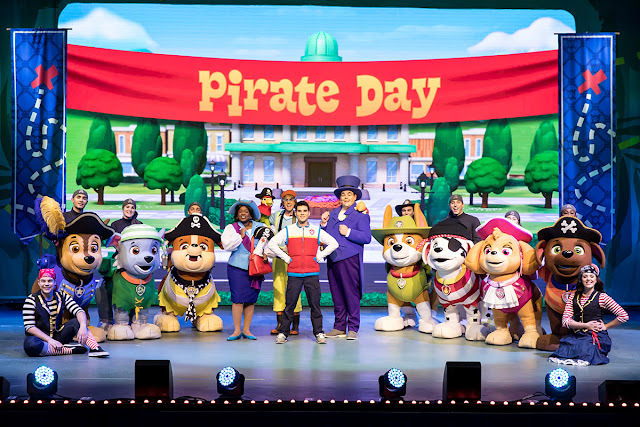 Following the success of last years Paw Patrol show - Race To The Rescue, this was a very much anticipated show. My little girl Sophia (age 5) adores Paw Patrol, she has been a big fan for the last three years and has probably seen every episode and has all of the toys. She was super excited when she found out we were heading to see them live on stage, I also took my friend and her little boy (almost 3) along too as he is a huge Paw Patrol fan. The Great Pirate Rescue is based on Mayor Goodway getting Adventure Bay ready for a big pirate day celebration, however, clumsy Cap'n Turbot falls into a dark cave and needs to be rescued. It is Paw Patrol to the rescue as Chase, Marshall, Skye, Rubble, Rocky and Zuma race to rescue him with Ryder's help to save the day. During the rescue, they discover a secret treasure map which leads them on an adventure to discover the hidden treasure. As a family we do love a good pantomime, oh yes we do! 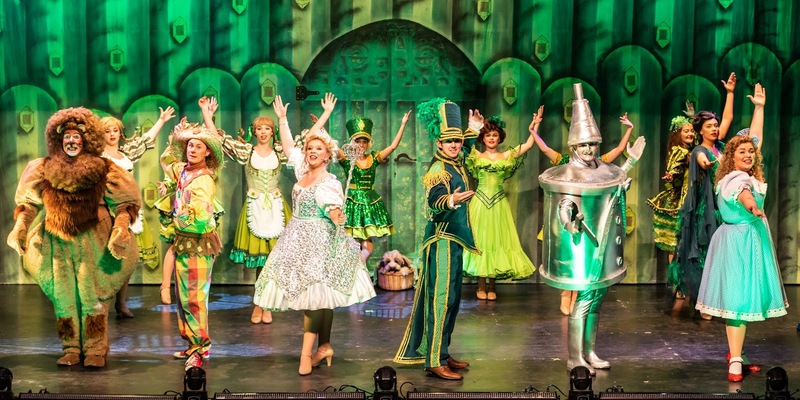 (sorry I couldn't resist) so when we heard that The Wizard of Oz was heading to the Whitley Bay Playhouse this August we were looking forward to going to see the show. Reece Sibbald productions present the classic tale of The Wizard of Oz with a few minor adaptions and a whole heap of laughs, it is a show the whole family will enjoy and we left wishing we could see it again. Starring Dani Harmer (from Tracey Beaker and Strictly Come Dancing fame) as the wicked witch, Cal Halbert (from Britain's Got Talent) as the Wizard, Steve Arnott as the Lion, Pippa Smith as Dorothy, Alex Smith as the Tin Man, Lily Grundy as Glinda the good witch and producer and writer of the show Reece Sibbald as the hilarious Scarecrow. It was a cast that worked well together and really brought the show to life. My little boy Jacob is almost 4-years-old and he is really into monsters, surprise toys and anything he thinks is disgusting and funny. So when we were recently sent a Crate Creature Surprise toy I knew this would be something he would enjoy. 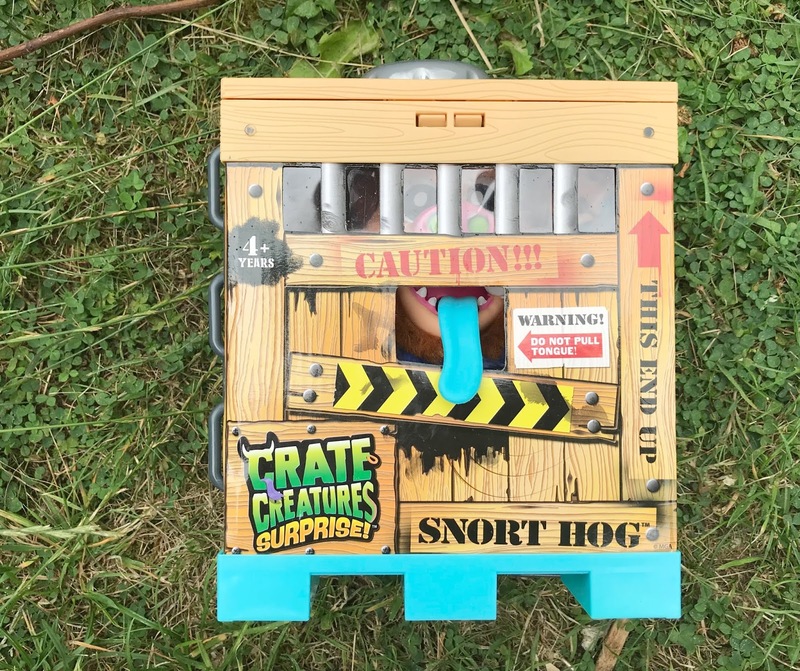 Crate Creatures Surprise are new interactive monster toys that come in a crate locked with a plastic chain and padlock that you have to open with the crowbar fixed to the side of the crate. The crate instantly appealed to Jacob and he could not wait to crack open the padlock and unleash the creature inside.